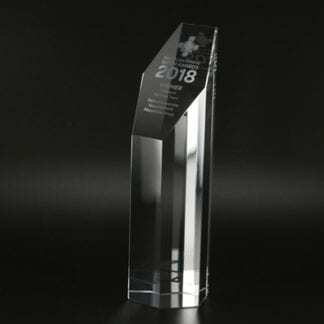 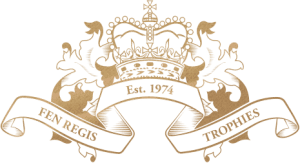 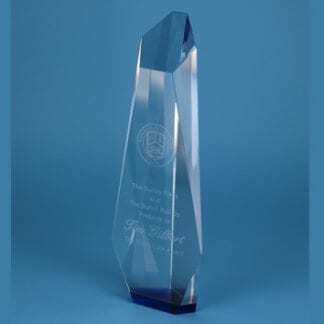 The stunning Blue Diamond Glass Trophy is made mainly out of optic glass and has a very subtle sapphire blue glass panel between the base of the glass trophy and the top column of the glass trophy. 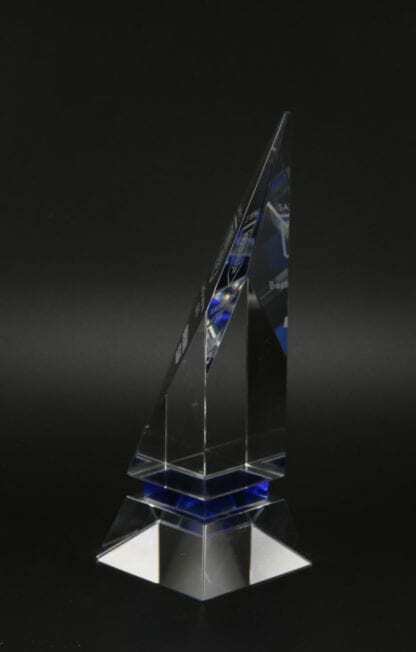 The blue panel allows for a hint of sapphire blue to show through the clear glass stem of the Blue Diamond Glass Trophy. 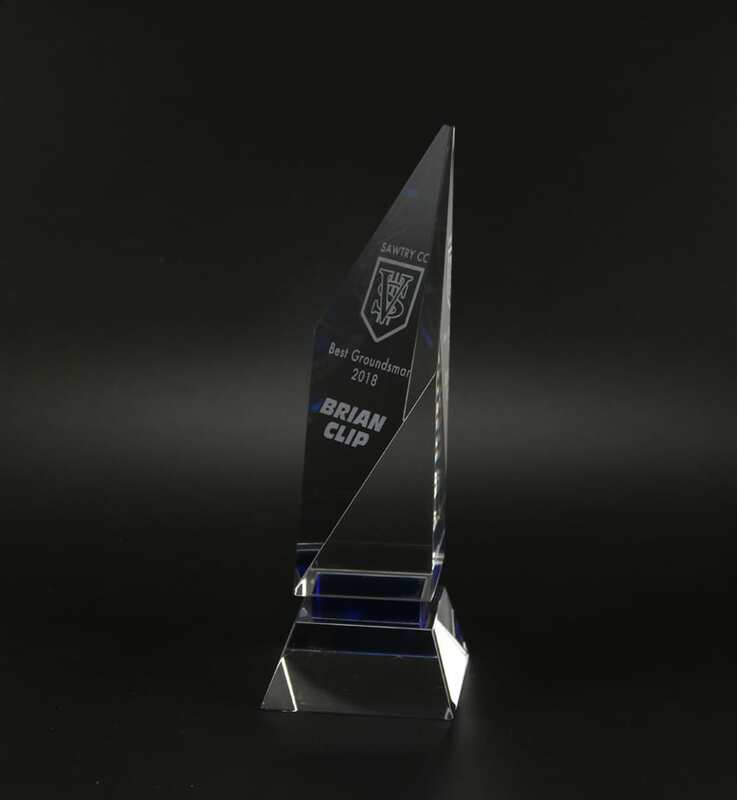 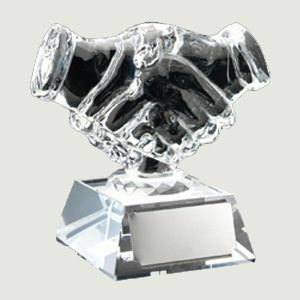 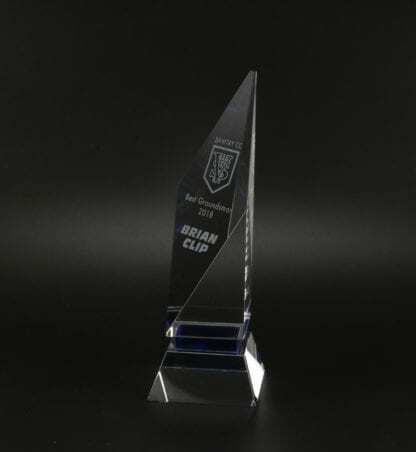 The base of the Blue Diamond Glass Trophy is 2.75” (7cm) square and then it tapers in and in a unique and unusual way you will find the corner is at the front of this glass trophy, making the Blue Diamond Glass Trophy stand out from the crowd for all its uniqueness in its shape, size and style. 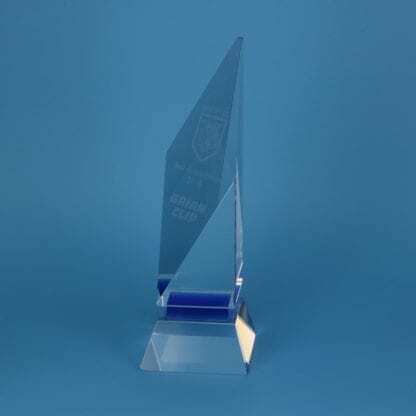 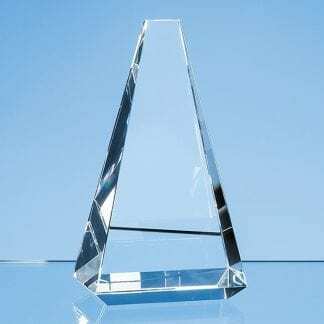 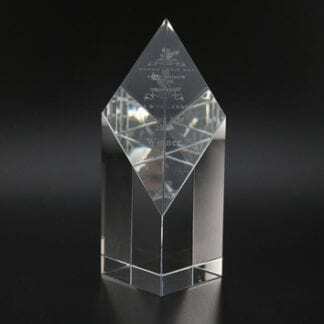 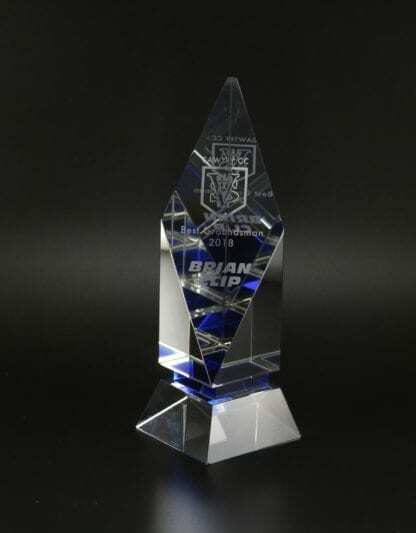 The top column of the Blue Diamond Glass Trophy is 2” (5cm) square and has an angled front that is shaped into a diamond, hence the name of the award, the Blue Diamond Glass Trophy. 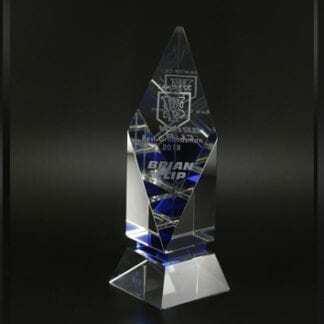 Due to the diamond shape of the Blue Diamond Glass Trophy it allows for a large engraving space on the glass trophy.